NEW PARTNERS: William Wallace, right, president of the Secondary Schools Football League, shakes the hand of Global Premier Soccer CEO Joe Bradley at the launch of this year’s league at Fatima College in Mucurapo, yesterday. 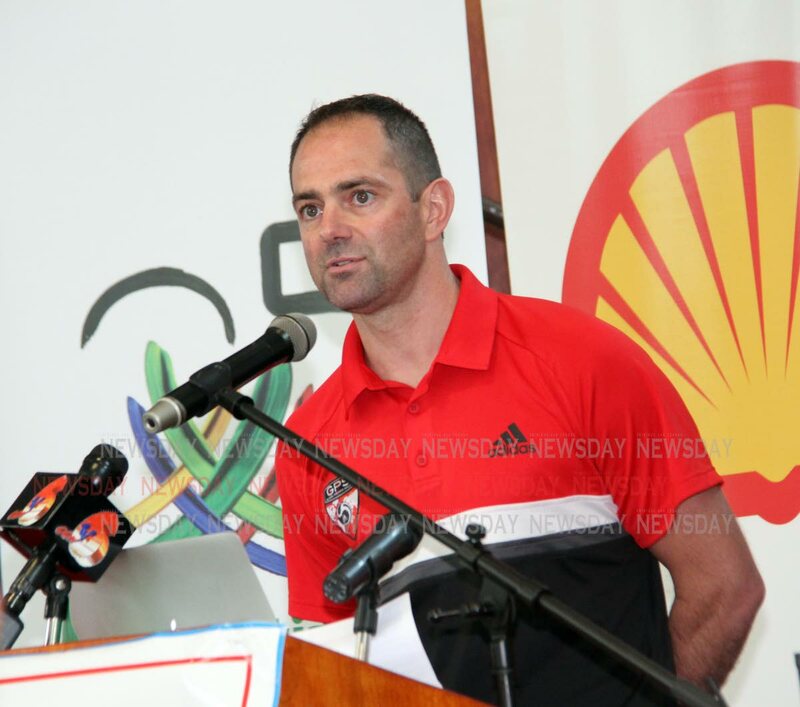 Education Minister Anthony Garcia, middle, applauds the partnership as Sports Max’s Tanya Lee and Shell’s Kellie-Marie Patel look on. 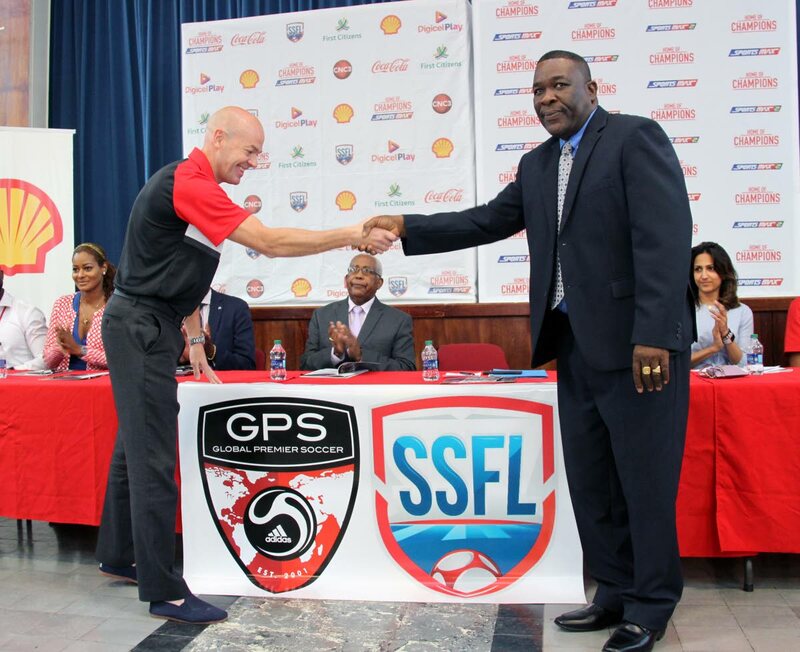 Reply to "SSFL partners with US group GPS"